Michel (knee) was listed as a limited participant in Wednesday's walk-through practice, NESN.com reports. Michel (knee) took part in Wednesday's practice, Kevin Duffy of MassLive.com reports. Michel (knee) was downgraded from doubtful to out for Monday's game against the Bills, Adam Schefter of ESPNreports. Analysis: Michel's only practice of the week came in a limited session Saturday as there was never much optimism of his availability for Monday. The 23-year-old sustained the apparent MCL injury last week against the Bears but thankfully avoided major structural damage. Hopefully the rookie running back can showcase more in practice next week and increase his odds of playing Week 9 against the Packers. 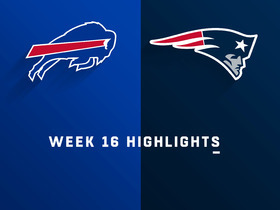 Michel (knee) is listed as doubtful for Monday's game against the Bills, Doug Kyed of NESN.com reports. Analysis: Michel was a limited practice participant Saturday for the first time this week after getting carted off the field last Sunday with a left MCL injury. The 23-year-old has thankfully avoided structural damage and shouldn't face an extended absence, but his odds of playing Monday at Buffalo have been slim from the start. James White and Kenjon Barner should handle backfield duties for the Patriots, assuming Michel is ultimately ruled out. Michel (knee) returned to practice Saturday, Doug Kyed of NESN.com reports. Analysis: The Patriots have yet to release their injury report for Monday's matchup with the Bils, and while Michel remains questionable at best, his return to practice is cause for optimism in the big picture. James White and Kenjon Barner figure to head the Patriots' Week 8 backfield assuming Michel cannot go, but expect an update once the Patriots put out their final injury report. Michel (knee) didn't take part in Friday's walk-through, Mike Reiss of ESPN.com reports. 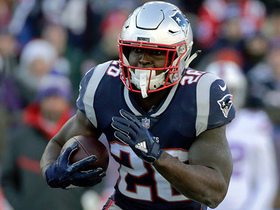 Analysis: Michel is thus trending toward being ruled out for Monday night's game against the Bills, and if that's the case, James White and Kenjon Barner would be in line to head the Patriots' Week 8 backfield. Michel (knee) missed practice for the second straight day Thursday, Andrew Callahan of Masslive.com reports. Analysis: Michel still seems unlikely to be available Monday night against the Bills, but reports indicating that the rookie back avoided structural damage to his left knee suggest that an extended absence is not in the cards. 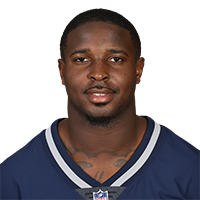 As of now, the team's only two healthy options at running back are James White and Kenjon Barner, though Kenneth Farrow is a candidate to be promoted from the Patriots' practice squad. Michel (knee) didn't participate in practice Wednesday, Zack Cox of NESN.com reports. Analysis: Meanwhile, coach Bill Belichick declined to provide an update on Michel's condition when asked about the matter, per Cox. At this stage, it doesn't seem likely Michel will be available Monday against the Bills, but with previous reports suggesting the rookie avoided structural damage to his left knee, an extended absence may not be on tap. The Patriots' current healthy backs are James White and Kenjon Barner, with Kenneth Farrow a member of the team's practice squad. An MRI on Michel's knee revealed no structural damage, Adam Schefter of ESPN reports. Michel (knee) is not believed to be dealing with a serious injury after undergoing an MRI on Monday, Ian Rapoport of NFL Network reports. Michel (knee) is believed to be dealing with an MCL injury, at the very least, Tom E. Curran of NBC Sports Boston reports. Michel informed Adam Schefter of ESPN via text message that he expects the left knee injury he suffered in Sunday's 38-31 win over the Bears to sideline him for "a little bit," but doesn't view the issue as "overly serious." Michel will undergo an MRI on Monday to determine the extent of the left knee injury he suffered in Sunday's 38-31 win over the Bears, Ian Rapoport of NFL Network reports. Michel (knee) has been ruled out for the remainder of Sunday's game against the Bears. Analysis: Michel provided 22 yards on four carries and added a 13-yard reception before departing in the second quarter with the left knee injury. The rookie was carted to the locker room after being helped off the field, so it's hardly a surprise that he's done for the day. James White is expected to handle the bulk of the snaps out of the backfield the rest of the afternoon for the Patriots, who will likely provide some sort of update on the extent of Michel's injury in the next day or two. Michel was forced out of Sunday's game against the Bears with a left knee injury, Jeff Howe of The Athletic reports. Analysis: At first glance, this doesn't look good, with Michel having limped off the field in pain before being carted off. James White and Kenjon Barner are on hand to handle the Patriots' backfield duties while Michel is sidelined Sunday, but if his absence extends beyond this weekend, then the team would likely add running back depth (Mike Gillislee comes to mind) in short order. Michel (knee) is listed as active for Sunday's game against the Bears. Analysis: While Michel hasn't made much of an impact in the Patriots passing game (an area where fellow running back James White excels), he's emerged as the team's clear-cut lead runner, a role that has resulted in him logging 67 carries over his last three games, a span in which the No. 31 pick in April's NFL draft has racked up 316 yards and four TDs. His workload going forward should remain steady in contests in which the Patriots aren't forced to focus on their passing attack due to game flow. Michel (knee), who is listed as questionable for Sunday's game against the Bears, is expected to play in the contest, Ian Rapoport of NFL Network reports. Michel (knee) is listed as questionable for Sunday's game against the Bears. Analysis: Michel was one of 10 players listed as questionable by the team, but given that he practiced all week -- albeit in a limited fashion -- it would be a major surprise if he wasn't available Sunday. The rookie doesn't offer much impact in the passing game -- that's James White's domain -- but he's the Patriots' clear-cut lead runner. The role has yielded 67 carries over the last three outings, during which Michel has racked up 316 yards while reaching the end zone four times. Michel (knee) remained limited at practice Thursday. Analysis: There's nothing to suggest that Michel's Week 7 status is in any danger, but it remains to be seen if he draws a "questionable" designation for Sunday's 1:00 ET tilt against the Bears or is removed from the Patriots' final injury report of the week altogether Friday. 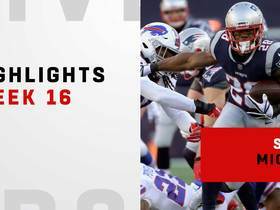 Analysis: Despite carrying a questionable designation into the 43-40 win over the Chiefs in Week 6, Michel took the field for 37 of the Patriots' 78 offensive snaps, finishing with 106 rushing yards and two touchdowns on 24 carries. With no reported setbacks in that contest, it can be assumed for now that his limitations Wednesday were maintenance-related. Michel (knee) ran 24 times for 106 yards and two touchdowns in Sunday's 43-40 win over the Chiefs. Michel (knee) is listed as active for Sunday night's game against the Chiefs. 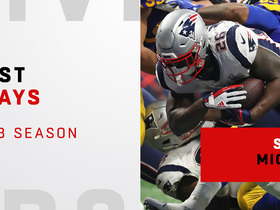 Analysis: As long as he avoids any in-game setbacks, Michel, who has carried 43 times for 210 yards and two TDs over his last two outings, is in line to continue to lead the New England rushing attack in Week 6. Meanwhile, change-of-pace ace James White will likely to make his mark as a pass catcher Sunday, and Kenjon Barner is available in a reserve capacity. Jeff Howe of The Athletic relays that when he asked Michel earlier this week if his knee was "all good," the running back responded, "yeah." Analysis: Meanwhile, NFL Network's Ian Rapoport suggests that Michel is viewed as a game-time decision for Sunday night's game against the Chiefs, but is expected to play. Official confirmation of the running back's status, either way, will arrive upon the release of the Patriots' Week 6 inactives in advance of Sunday's 8:20 ET kickoff. Michel (knee), who is listed as questionable for Sunday's contest against the Chiefs, will likely be a game-time decision, Ian Rapoport of NFL Network reports. Michel (knee) is listed as questionable for Sunday night's game against the Chiefs after practicing in a limited fashion all week. Analysis: We'll look for added encouragement regarding Michel's Week 6 status as Sunday's 8:20 PM ET kickoff approaches, but we'd expect him to be a go this weekend. If so, Michel -- who has logged 43 carries for 210 yards and two TDs over his last two games -- is in line to continue to lead the Patriots' ground game, with James White on hand to make his mark as a pass catcher and Kenjon Barner in reserve. Analysis: So far there's nothing to suggest that Michel's Week 6 status is in any peril, but it remains to be seen if he draws a "questionable" designation for Sunday night's 8:20 ET tilt against the Chiefs or is removed from the Patriots' final injury report of the week altogether come Friday. Michel (knee) was spotted riding a stationary bike as the rest of the team warmed up for Thursday's practice, Zack Cox of NESN.com reports. Analysis: We'll have to see if he ends up being listed as a limited or non-participant at practice, but it's not especially surprising to see the Patriots manage the practice reps of Michel -- who has logged 43 carries over his last two games -- given that he underwent a knee procedure back in August. The only other running backs on the team's roster are James White and Kenjon Barner, neither of whom is ideally suited to work as an every-down option. 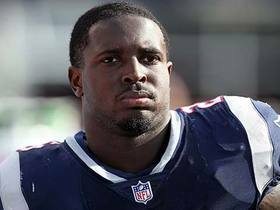 Michel (knee) was limited at practice Wednesday Mike Reiss of ESPN.com reports. Analysis: Michel was one of nine players the Patriots listed as limited Wednesday, but his name stood out since he's been off the injury report the last two weeks. Since that time, Michel has solidified his perch atop the team's running-back depth chart, rushing for 210 yards and two scores on 43 carries. Michel has managed only one catch for 12 yards over the last two games, however, as James White has remained the Patriots' go-to back on passing downs. 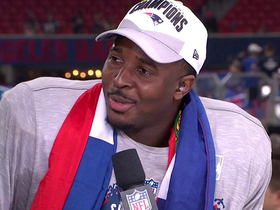 Michel rushed 18 times for 98 yards and a touchdown and secured his only target for 12 yards in the Patriots' 38-24 win over the Colts on Thursday. He also returned one kickoff for 26 yards. Michel rushed 25 times for 112 yards and a touchdown in the Patriots' 38-7 win over the Dolphins on Sunday. Michel is expected to lead the Patriots' rushing attack for the foreseeable future after Rex Burkhead (neck) was placed on injured reserve Wednesday. Michel rushed 14 times for 50 yards and caught one of three targets for minus-one yard during Sunday's 26-10 loss to the Lions. Michel (knee) rushed 10 times for 34 yards and caught one of two targets for seven more in Sunday's 31-20 loss to Jacksonville. Analysis: You couldn't handpick a tougher defense for Michel to make his NFL debut against, so it's understandable that he failed to get much going. On the bright side, the rookie first-rounder did end up leading New England in both carries and rushing yards. Receiving back James White got most of the work with the Patriots playing catch-up in the second half, but Michel should be the team's running back of choice when tied or ahead moving forward. Michel (knee) is listed as active for Sunday's game against the Jaguars. Analysis: As is fellow running back Rex Burkhead (concussion), which means that Michel could potentially be eased into action in his NFL regular-season debut. Once the first-rounder's role in the Patriots offense is established and stabilizes, Michel's playmaking upside should yield enough fantasy dividends to merit weekly lineup consideration. Michel (knee) is expected to make his NFL debut Sunday against the Jaguars, Adam Schefter of ESPN reports. Analysis: Meanwhile, fellow running back Rex Burkhead (concussion) is also expected to play Sunday, but needs to get through pre-game warmups without any setbacks. If both backs play, Michel profiles as a hit-or-miss fantasy option in Week 2, but his playmaking skills should yield fantasy dividends in the long run. Michel (knee) is listed as questionable for Sunday's game against the Jaguars after practicing in a limited fashion all week. Michel (knee) was once again a limited practice participant Thursday. 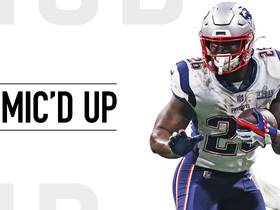 Analysis: Michel seems to be trending toward Week 2 availability, though his fantasy prospects seem largely tied to the status of fellow running back Rex Burkhead, who returned to a limited practice Thursday after missing Wednesday's session due to concussion symptoms. Michel (knee) said Wednesday that he's preparing for Sunday's game against the Jaguars as if he'll be available, Mike Reiss of ESPN.com reports. "I'm doing all I can to prepare, whatever coach's plan is," Michel said, in what were his first comments to the media since early August. "I don't know what his plan is, but my mindset is to prepare as if I'm playing." Analysis: Michel was limited all last week as well before being listed as inactive for Sunday's win over the Texans. Since then, Jeremy Hill (knee) has landed on injured reserve and Rex Burkhead has entered the concussion protocol, which resulted in him missing practice Wednesday. If Burkhead isn't cleared by the weekend, Michel -- health permitting -- could end up playing a prominent role in the Patriots' Week 2 game plan. Michel (knee) could be in line for a more significant role moving forward in the wake of Jeremy Hill's knee injury, Andrew Callahan of MassLive.com reports. Michel (knee) is inactive for Sunday's game against the Texans. Michel (knee), who is listed as questionable for Sunday's game against the Texans, isn't expected to play in the contest, a source informed Adam Schefter of ESPN. Michel (knee) is listed as questionable for Sunday's game against the Texans after practicing in a limited fashion all week, Mike Reiss of ESPN.com reports. Analysis: As bright as Michel's long-term prospects are, his Week 1 status is cloudy and it's possible that with the big picture in mind the Patriots could err on the side of caution and hold out the No. 31 overall pick in April's draft if he's less than 100 percent at this stage. That's an approach the team can afford to take, with Rex Burkhead, James White and Jeremy Hill on hand and not on the team's injury report. Michel (knee) remained limited at practice Thursday, Doug Kyed of NESN.com reports. Michel (knee) was a limited practice participant Wednesday. Michel (knee) and Rex Burkhead (knee) are both going through position drills at Sunday's practice, Mark Daniels of The Providence Journal reports. Analysis: Michel was unavailable throughout most of August but did manage limited practice participation Monday and Tuesday. He'll likely need at least one day of full participation during the upcoming week in order to be cleared for the season opener against Houston. The Patriots' decision to cut all three of Brandon Bolden, Mike Gillislee and Ralph Webb suggests they have some level of confidence that Michel and/or Burkhead will be ready for Week 1. Michel (knee) was limited at practice Monday and Tuesday, with his Week 1 availability still unknown, Kevin Duffy of the Boston Herald reports. Upon his return to practice Monday, Michel (knee) caught the eye of running backs coach Ivan Fears, Mike Reiss of ESPN.com reports. 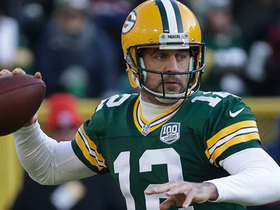 "Just what we expected," Fears noted of the rookie running back. "He was progressing well. I was really happy when we got the pads on, and got a chance to see him run a bit. It looks like he's going to be what we expected to be. I expect him to come back ready to go." 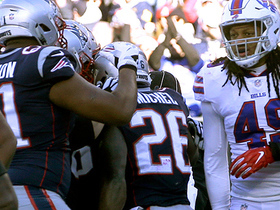 Michel (knee) returned to practice Monday, Mike Reiss of ESPN.com reports. Jeff Howe of The Athletic Boston suggests that Michel's ongoing recovery from a knee procedure "might make a dent into his regular season." Michel (knee) won't be available for Friday night's preseason game against the Panthers, the Boston Herald reports. Analysis: With Rex Burkhead still bouncing back from a knee issue and likely to sit out Friday's game as well, the report suggests that "we should see plenty of (Jeremy) Hill and (Mike) Gillislee" in the Patriots' third preseason contest. Michel, Burkhead and James White are viewed as roster locks, leaving Hill and Gillislee in a battle to secure work as the team's "big back." Michel (knee) missed his 10th straight practice Monday, the Boston Herald reports. Michel, who underwent a procedure after Wednesday's practice to drain fluid from his knee, isn't expected to be in danger of missing a significant portion, if any, of the regular season, Mike Reiss of ESPN.com reports. Michel has been nursing a minor knee injury since Wednesday's practice that is expected to keep him sidelined for the preseason and possibly the start of the regular season, Jeff Howe of The Athletic Boston reports. Michel, who exited Wednesday's practice with an unspecified injury, did not work Thursday, Mike Reiss of ESPN.com reports. Analysis: When healthy, the first-rounder profiles as a do-it-all running back who has the talent to head the Patriots' rushing attack as a rookie while others work in complementary roles. That said, with Rex Burkhead, Jeremy Hill, James White and Mike Gillislee all on hand (for now), consistent volume could be an issue for Michel out of the gate, though we suspect the team's coaching staff will engineer ways to utilize the 23-year-old playmaker's skills, in any case. Michel appeared to suffer an injury during Wednesday's practice, Zack Cox of NESN.com reports. Analysis: Michel walked off the practice field under his own power, accompanied by members of the Patriots' training staff on his trip back to the locker room. He has otherwise been a full participant throughout training camp, showing no issues with the knee that raised some concerns leading up to the draft in April. Michel is trying to make his case for the lead role in what will likely be a committee backfield. 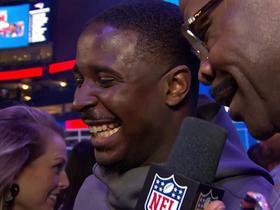 Michel secured his rookie contract with the Patriots on Sunday, Ian Rapoport of NFL Network reports.